Matt Kelley of Ohio is this week’s Fan Friday – he’s been on motorcycles since the age of five! 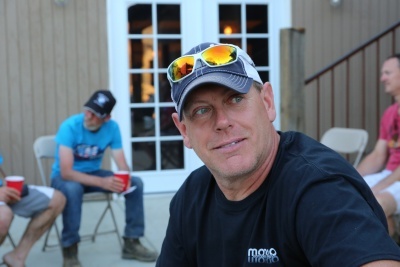 Motorcycles were a part of his family growing up Matt says, Not only has he raced motocross for about 25 years, he’s been involved just about every type of motorcycle in one way or another. 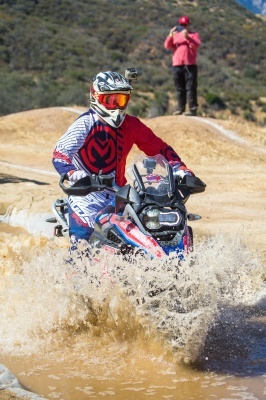 In October 2017 Matt Kelley placed first in the West Coast GS Trophy Qualifier, and he beat AltRider’s very own President Jeremy LeBreton who placed second just behind Matt. I was impressed when Matt told me he only had his GS for 2 months when he won the qualifier. The next step in winning the GS Trophy will be early summer 2018 heading to Mongolia to compete with the best GS riders in the world – good luck Matt! 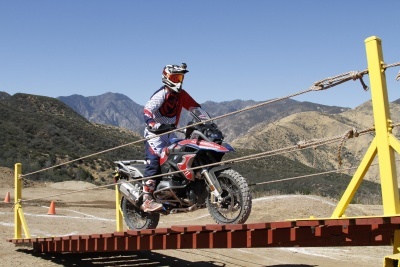 So how did Matt go from motocross to the adventure touring world? Well his friends convinced him of course. About 3 years ago Matt picked up his first ADV bike, and now he rides a 2017 BMW R 1200 GSW Rallye decked out in AltRider gear, he’s got AltRider crash bars in that pretty Rallye blue. For Matt it’s a no brainer to choose AltRider, they’re so easy to install he says. Matt works as a tech in the manufacturing world and understands the challenges of getting a precise fit, so to get is seal of approval is an honor. One product in particular Matt really appreciated is the DualControl Brake System. Matt says that every bike should have a DualControl on it if you’re going to be standing when off road. Matt tells me that he has size 13 boots and he feels this really exaggerates the different heights is foot is at when standing or sitting and his DualControl keeps the rear brake pedal right below his foot in either position.